"DCU is there when nobody else is"
When nobody else would help out in getting an accessible van, DCU stepped up to the plate and made it happen! For vehicles with equipment or modifications to assist people with disabilities – If you have a disability, there are several types of modified vehicles on the market to help you get around. Unfortunately, lift-equipped vans, vehicles with hand controls, and other modifications can be very expensive. DCU can help make them more affordable by spreading the cost over time. The borrower need not be the beneficiary of the purchase. For new or used vehicles – with the same low rates. Purchase or refinance – Borrow to buy your next vehicle or refinance the one you drive. Great rates and affordable payments – Finance up to 120 months. The longer the loan term, the lower your monthly payment. Borrow up to 100% of purchase price – Qualified borrowers can finance up to 100% of the purchase price or the combination of the NADA retail value of the chassis plus the retail value of the conversion  whichever is less  up to $100,000. Minimum loan amount is $5,000. 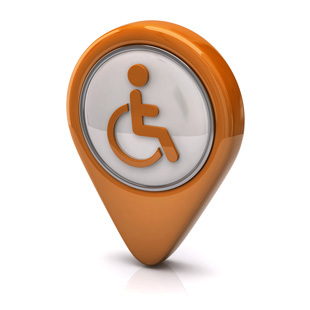 Special new or used vehicles and vehicle modifications to aid people with disabilities. Mobility vehicle value is determined by combining the NADA retail value of the chassis plus the retail value of the conversion. Mobility Vehicle Loans is rated 4.5 out of 5 by 53. Rated 5 out of 5 by Dmac57 from Quick & Easy! Thank you for the ease in securing the loan for the purchase of my son's mobility vehicle! What a pleasure doing business with you. During the process I spoke with several different individuals and each and every one were kind, helpful and authentic. I really appreciate the customer service I received! Rated 5 out of 5 by MJRam from The disabled vehicle conversion is an absolute necessity for a loved one. I am now able to take my spouse to Doctor appointments and his physical therapy much easier since he has a power wheelchair. He had a manual wheelchair but it weighed 75 pounds and was too heavy for me to load in and out of a regular vehicle without a conversion. Rated 5 out of 5 by Slick from Mobility Loan This was a process you have to go through for the mobility loan. But once it was completed and all our paper work is in it went very smooth. The check was issued in a timely manner. While most places make it almost impossible to obtain a mobility loan DCU is very understanding and compassionate of the needs of the disabled. DCU made it possible for us to get our disabled son to and from his many doctor visits. DCU you did a great job!!!! You are Great!!!!! Rated 5 out of 5 by kat 714 from The fastest, easiest refi of an auto loan I've ever seen ! How blessed we have been in finding you ! You took a chance with providing a loan to my disabled son and me as his guardian in 2009, since my credit score reflects a misunderstanding on an outstanding student loan that has yet to be corrected. Not only has your excellent staff approved a second loan and a refi today giving us a 740 score, but a safe way to transport my son; allowing him to actually have an active life outside the home. GOD BLESS EACH AND EVERY ONE OF YOU FOR BEING THE INSTRUMENTAL FORCE FOR SO MANY OF OUR BLESSINGS ! Rated 5 out of 5 by toomnyhats from Thirteen years of satisfaction DCU has been an awesome blessing to our family. We purchased our first mobility van via a loan from DCU in 2004. Additionally some years later we financed a regular automobile with them. Just this month we purchased our second mobility van and DCU's service and assistance with the loan was second to none. Highly recommend!!! Rated 5 out of 5 by Cacook from Very SATISFIED I HAVE NOTHING BUT GOOD TO SAY ABOUT DCU!!!! I would recommend them for all your banking needs. Your reviews are wonderful and outstanding, you have helped many people with loans for Handicap VANS. My question is, do you help all people. I am a single mom with a 13 yr old handicap son in a wheelchair that has not had any freedom in 4 years. Can you help him with a not so great credit score. We are desperately in need. My first loan with DCU was approved for a 2003 disabled conversion van and my current loan was approved for a 2012 conversion vehicle and my credit score was in the fair level. I tried getting a loan through Bank of America and Braunability but both denied my request. DCU was there for me when I needed a used conversion vehicle to take my disabled spouse to and from Doctor visits and physical therapy. I do not regret being a member of DCU. Best wishes to you and your son. If I was purchasing a 2014 used car and a $32k loan amount, could I get the 84 month term? When I got my loan the staff for DCU told me the most is a term of 5 years and 3months. But definitely call them to be sure. They may be able to assist you. "So Happy For My Daughter"
This product allows my disabled daughter to spend time in her community. Obtaining a Mobility Loan was very simple which made my life easier. "The best that I have found"
I have never dealt with anyone as great as DCU. You are there with everything when I need it. THANK YOU!!! Auto Buying Resources – Get shopping advice, get DCU auto loans at participating dealers, research new and used cars, access NADA Guides and Edmunds, and more. Intent to Sell Form – Provide to DCU if you are buying a mobility vehicle through a private sale. StreetWise Disability Resource Guide – StreetWise guide provides links to a variety of online resources for people with disabilities and their families. Vehicle Loan Payoff Form for Insurance Agencies or Dealers – Dealers and insurance agencies can use this form to obtain a 10-day loan payoff for members' auto loans.